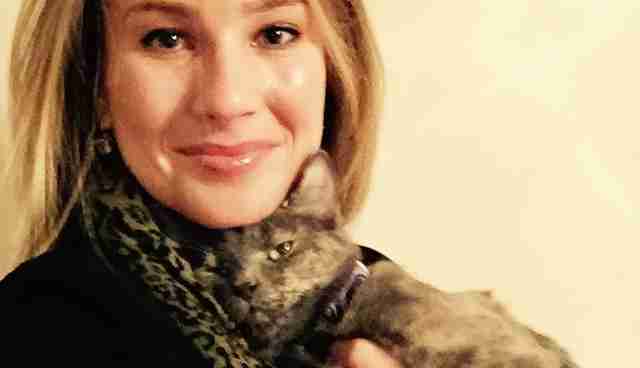 "Adopting Chloe was one of the best decisions I have ever made." 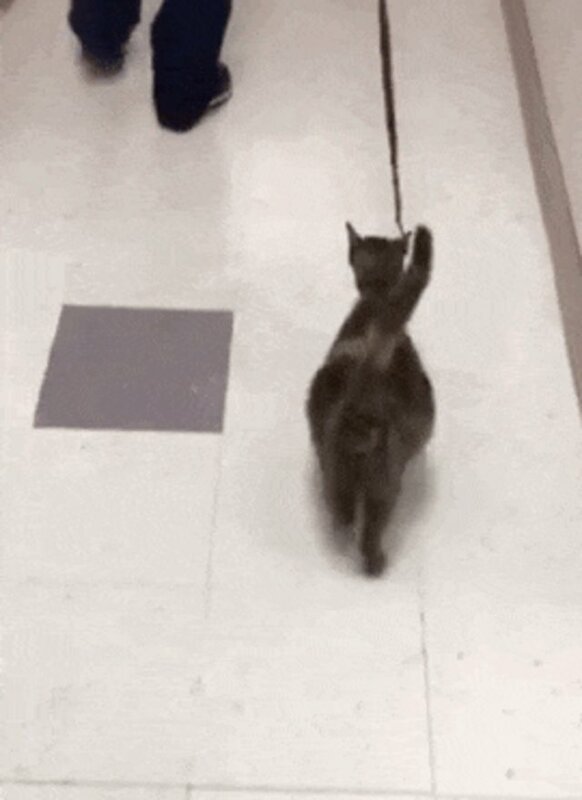 A pregnant cat who was dropped off at Anne Arundel County Animal Control (AACAC) in Millersville, Maryland, over the summer loved walking on a leash. 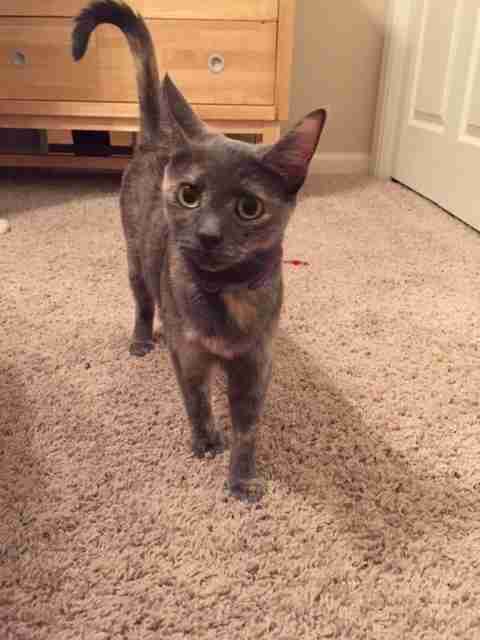 She was just "one of the many strays that hang around the neighborhood," according to the person who brought her in. But, given the chance, she became so much more than that. At only 9 months old, Chloe was so pregnant she was almost bursting, but she still "followed shelter workers around like a puppy," Chris Collins, a volunteer with Friends of the AACAC, the nonprofit created by the shelter's volunteers to help the animals, told The Dodo back then. The shelter had to find Chloe a foster home quickly. 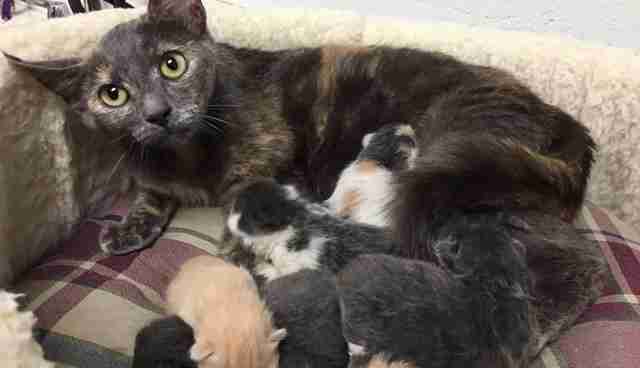 Once she gave birth, being at the shelter could be unhealthy for her tiny kittens. Luckily, an experienced SPCA foster mom, Kim Morrissette, was ready to take Chloe and her kittens - when they arrived. But just after Chloe gave birth to five healthy kittens, she and her little family were recovering when a friend of Morrissette's decided to drop by. "I've always been more of a 'dog person' than a 'cat person,'" Lauren Benko told The Dodo, "but have always had a special place in my heart for puppies and kittens." Benko wasn't actively looking to adopt a pet. But Chloe commanded her attention the moment Benko walked into the room. What started off as a brief, one-time visit turned into a series of visits. 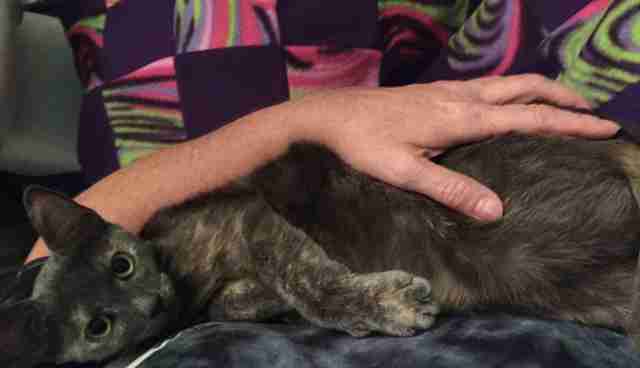 "She would nuzzle her face against my palm and was surprisingly affectionate," Benko said. 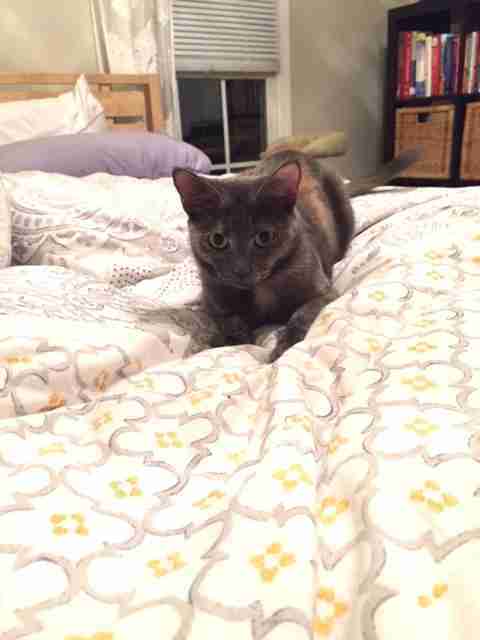 "She's the sweetest, mellowest, most easy-going and friendliest cat I have ever had the pleasure of coming across. I soon realized that our meeting was serendipitous and made the decision to adopt her." The connection between Chloe and Benko has continued to grow since Benko brought the formerly stray cat home. "She also loves treats," Benko said. 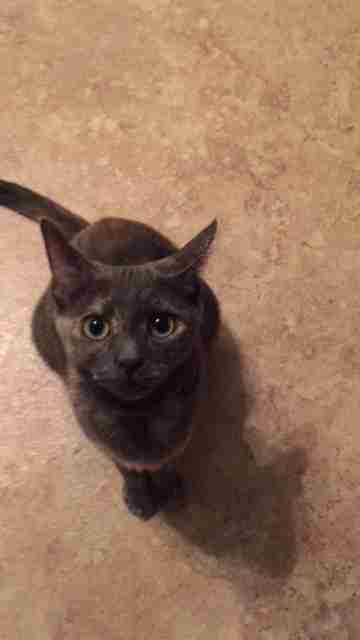 "She's even learned to sit before receiving treats." 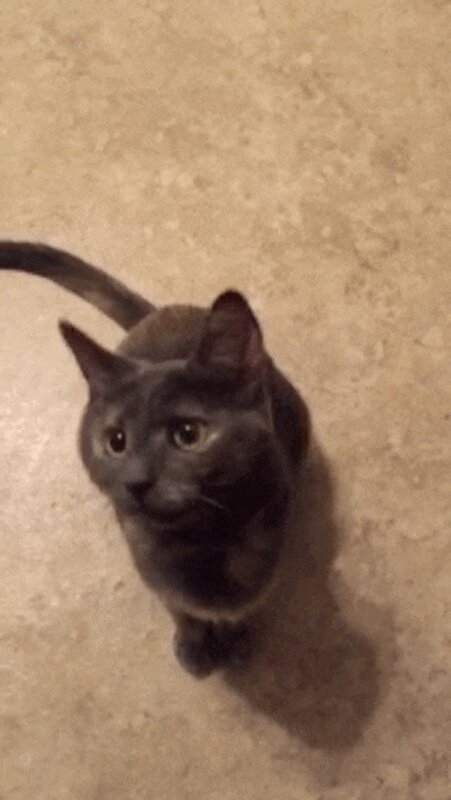 "She's a velcro-cat and will follow you from room to room because she just wants to be near you," Benko said. "Chloe has been a complete joy since bringing her home and has already enhanced the quality of my life." Now Benko encourages everyone - even those not looking for a pet - to reconsider. "Keep an open mind and heart, because the right pet for you may come into your life when you least expect it," Benko said. In the U.S., an estimated 1.4 million cats in shelters are euthanized every year because they can't find homes. Visit Adopt-a-Pet.com to get started. Or, if you're interested in adopting one of Chloe's kittens, visit this page.